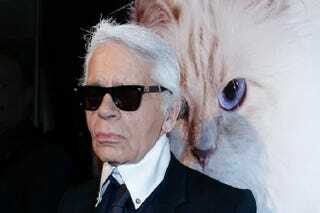 The cat-loving, “fashion unicorn” Karl Lagerfeld told Hello! that he turned down a cameo in Zoolander 2. Fashion’s grumpy old man might be the only person in the industry who won’t appear in the movie. Naomi Campbell, Cara Delevingne, Alessandra Ambrosio and Karlie Kloss have all signed on to appear.